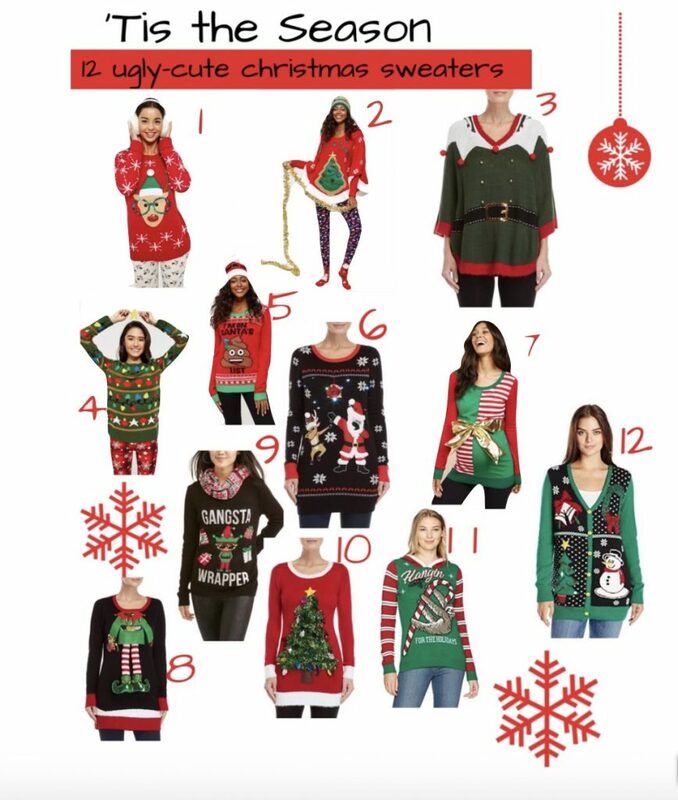 Ugly Christmas sweater season is upon us friends! Although honestly, I can’t save I have ever been able to bring myself to actually own an ugly Christmas. This year will, in fact, be a first for me! Normally I’m the one who is extra glitz and glam for the holidays but Brandon’s family has a tradition and I’m joining in on all the fun. If you (like me) have one of these events planned I rounded up a few that were not so terrible and a few that (to me!) kinda were, but that’s all the fun in it I suppose. Amazon, of course, has so many options to choose from and I’ve even seen some good ones on eBay. I’m planning on wearing this sweater but let’s be real guys I think I’ll be adding this one to my closet for the holidays too. Now just to see which one I actually wear! "Things l bought solely because Instagram told me too- oops"